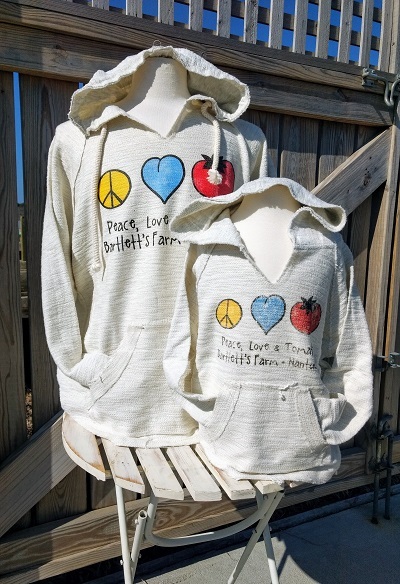 People often asked us about the peace, love, tomatoes design we used to do. We got some many requests, we brought back this popular design on a comfy baja. At first we brought it in just for the kiddos but it turns out that grownups wanted one too. 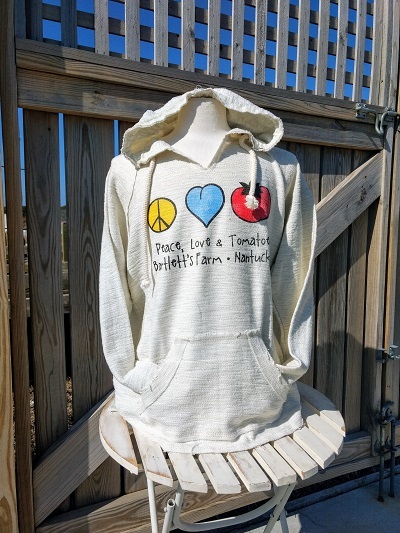 Our Peace, Love, Tomatoes baja is fully lined and really cozy. With an over-sized style and raw edges, it’s perfect for after the beach or a chilly afternoon back home. This cotton blend hoodie is available in a unisex x-small through x-large. Don’t forget to pick up one for kids too!